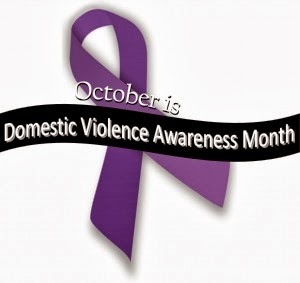 October is Domestic Violence Awareness Month and Author Kristie Cook is asking us to "Share the <3"! 1 in 4 women and 1 in 7 men just in the United States have been victims of severe physical violence by an intimate partner in their lifetime (Center for Disease Control statistics). You likely know someone who lives through this nightmare every day - a relative, a friend, a coworker or a neighbor down the street. Too many don't live. And too many children witness the violence to/between their parents - or are direct victims themselves. Thankfully, help is available. Unfortunately, not enough people know whom they can call for help - safely and privately. The National Domestic Violence Hotline provides this kind of secure resource, helping survivors of abuse do what they need to do to reach safety and restart their lives. I, along with Kristie, many other authors, bloggers and readers, ask you to join us in supporting The Hotline so it may continue to provide the refuge people need. Help us "Share the <3" because "all <3's deserve to feel safe." If you can donate even $5 to The Hotline, you could be supporting one phone call that can save a life. And for each dollar you donate, you can be entered to win Kristie's Share the <3 Giveaway! Simply email your receipt(s) dated 10/1/2013 through 10/31/2013 to publisher (at) angdora (dot) com. There are other ways to enter, as well, in the Rafflecopter below. An Indie Book Nerd t-shirt signed by over 40 authors, including Kristie Cook, G.P. Ching, Tabatha Vargo, Tiffany King, Shelly Crane and Isaac Marion, author of Warm Bodies; Kristie Cook's Soul Savers and Book of Phoenix books signed; and a bag full of swag. A bundle of Kristie's Soul Savers Series audiobooks, Books 1-5. So give what you can, email your receipt and gain extra entries below. The more you give, the better your chances of winning these amazing prizes. PLUS, Kristie will be matching all donation receipts, up to $1,000. So your donation will be doubled! From Kristie and from me, thank you for your help and support! Think of all that can happen if we each "Share the <3" today.